Ryder truck rental has been in the business of renting people trucks of virtually every size since 1933. No matter what you might need a truck for, chances are, Ryder will have you covered. 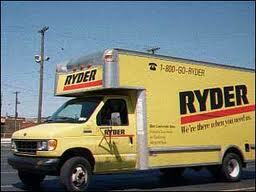 So, no matter what kind of truck rental you are after, Ryder likely has the solution. Ryder now has over 500 locations throughout North America that you can choose from when it comes time for you to rent a truck and finding their closest location to you couldn’t be easier. All you have to do in order to find the closest Ryder truck rental location is go to their website and conduct a search using your zip code. Then you will be presented with all of the locations that are in close proximity to you. All this leaves you to do is choose the one that is most convenient for you. When you are renting a truck with Ryder, you can also do so online. You simply start with whether the rental will be for business or personal use and then follow the steps as they come up. Before you know it, your truck rental is reserved and you are all set for whatever it is you need the truck for. Every rental that Ryder makes also comes with their personal guarantee. Either the truck you rent is reliable and clean and your check in and checkout times are 20 minutes or less, or your next comparable rental is free. So, either their service is great or you end up with a freebie. Because Ryder truck rental always has a fully stocked fleet of late model trucks that means that you can also get a great deal one of their many vehicles that they take out of service. This means you can buy a truck of any size to suit any need you have and best of all, you will get that truck at a deep discount. Additionally, you can rest easy knowing that the used truck you are buying is coming from a company that takes maintenance seriously. Just to be sure you feel comfortable with the purchase, they also give you a 30 day limited warranty on the powertrain. No matter what you need a truck for, Ryder truck rental can help. Whether you are moving in town, across the country, or even if you just need an extra truck or two for your business for a few days, there is almost always a solution for you at Ryder truck rental.